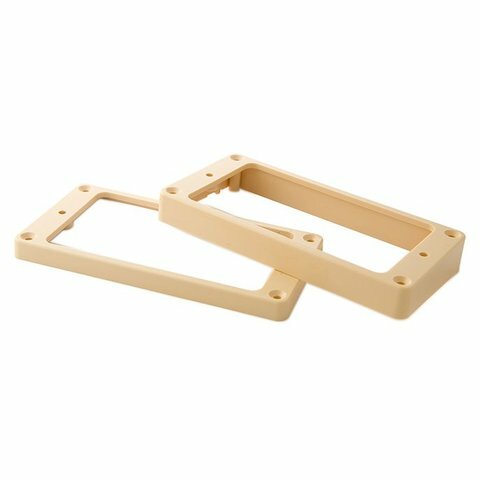 This pair of full-size OEM humbucker pickup rings is made from ABS plastic, and are the same specs as the rings found on Gibson’s historical vintage guitars of the 1950s. The neck pickup ring accurately measures ¼-inch, and the bridge measures ½-inch. Includes the mounting screws, and available only in crème color.